We’re making it easier for you to navigate the Canadian mortgage landscape. 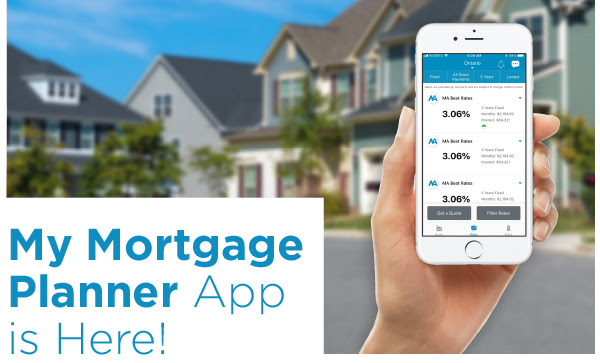 My Mortgage Planner is the new mobile app from Mortgage Architects that provides you with useful tools to help eliminate the stress of getting a mortgage. Whether it comes to determining your monthly mortgage payments, affordability, income required to qualify or closing costs, our app has what you need right at your finger tips! This entry was posted in Uncategorized and tagged Free mortgage planning app, monthly mortgage payment calculator, mortgage calculator Canada, Mortgage Stress test on October 23, 2018 by Lawrie Thom. Will interest rates increases slow in 2019? Bank of Canada to increase rates by only ¼% in 2019! Will interest rates go up next week?